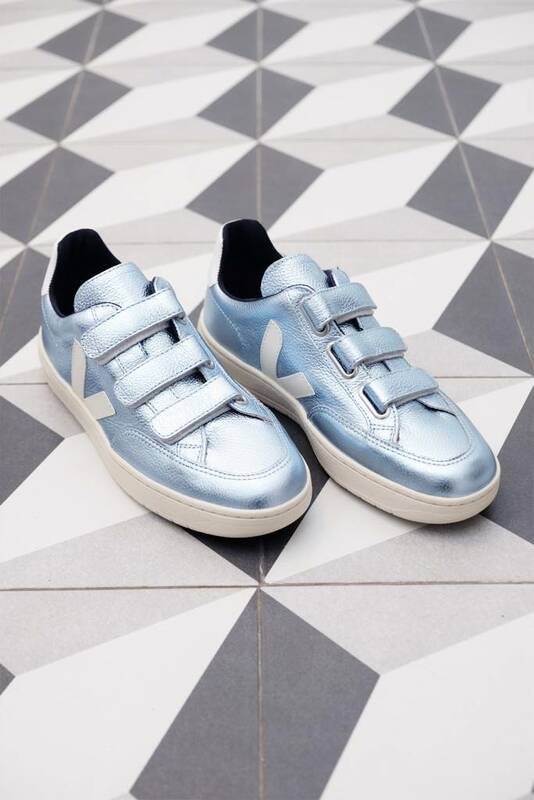 A strong, sturdy sole in a easy, breezy velcro style. 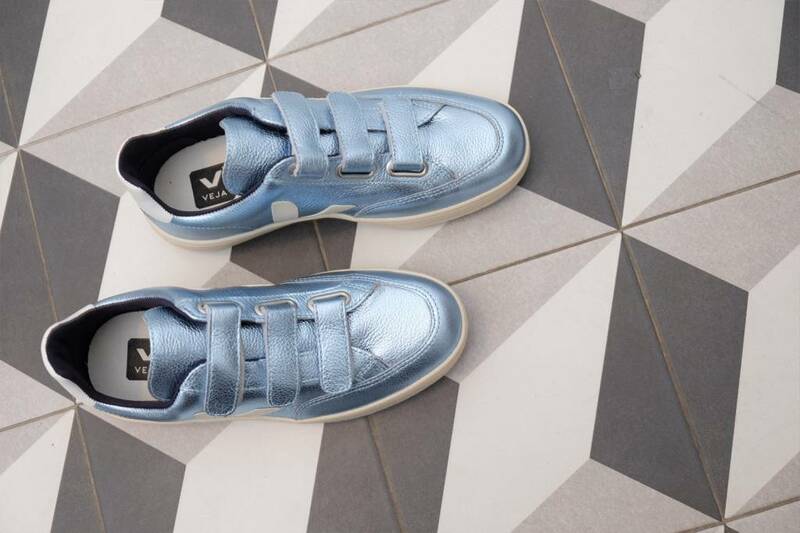 The iceberg metallic blue upper with matching tabs shows off your cooler side. 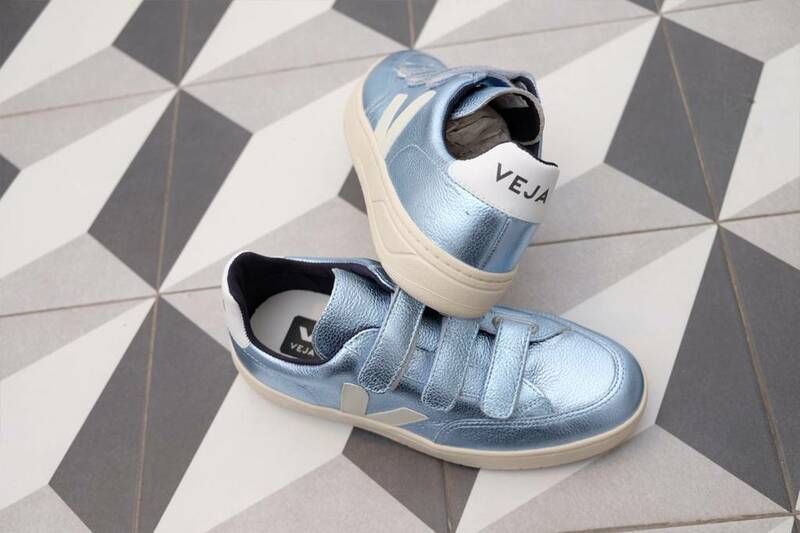 Fit: Veja sneakers run fairly true to size, but the leather is fairly stiff to start. Over time, they wear in to fit perfectly. 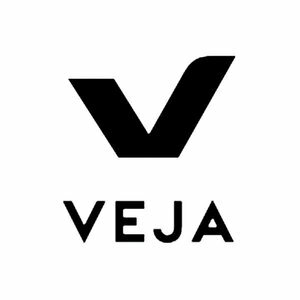 Veja sneakers are designed in France and produced in Brazil. 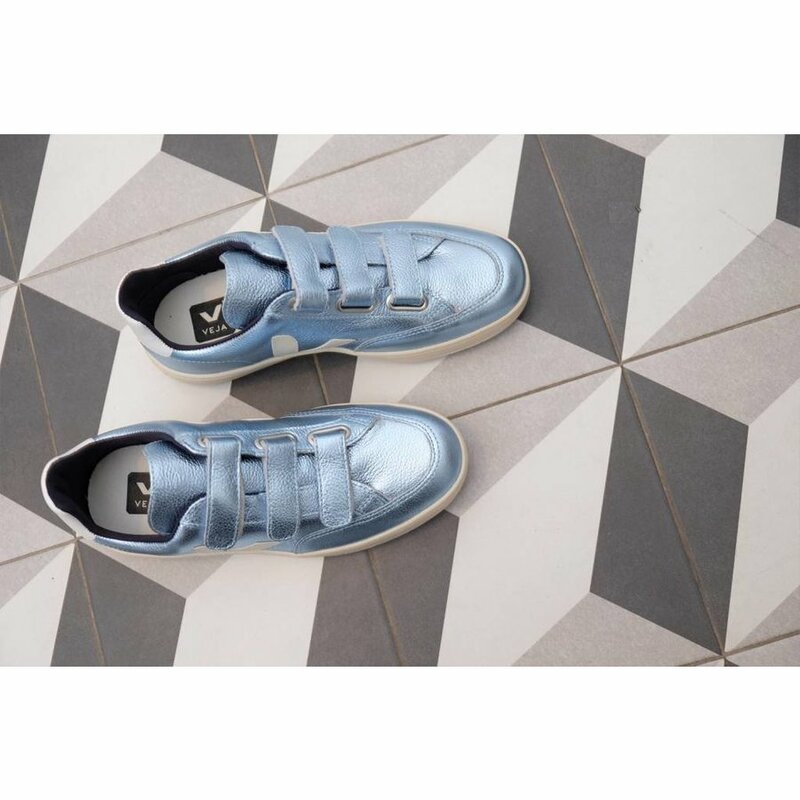 Since 2004, they have worked worked directly with small cooperatives, sourcing organic cotton and wild rubber to pair with recycled plastics, and fair trade and vegan leathers. This Drama Club staple brand is what we consider the world's most responsibly produced athletic sneaker.